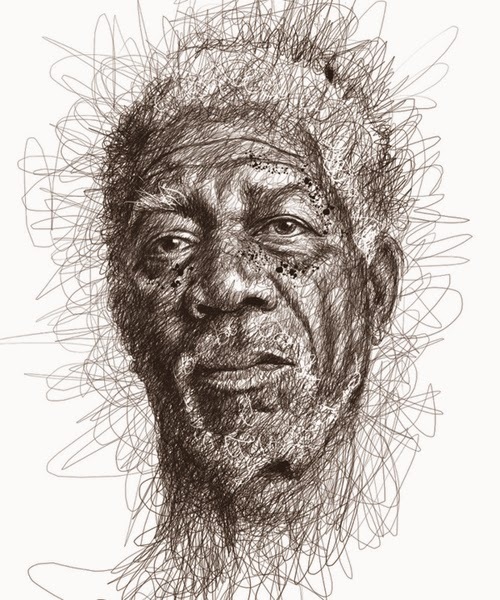 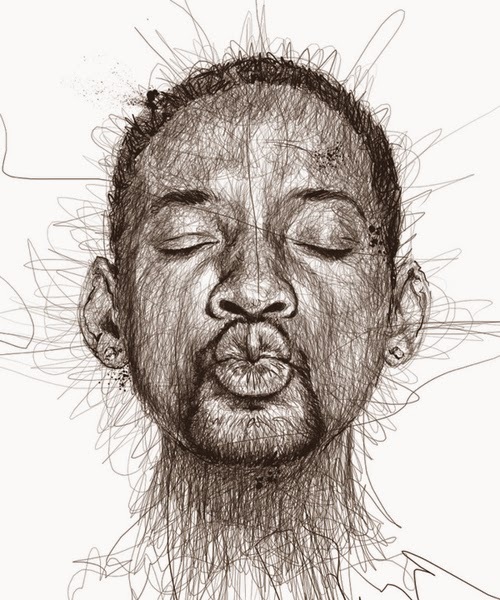 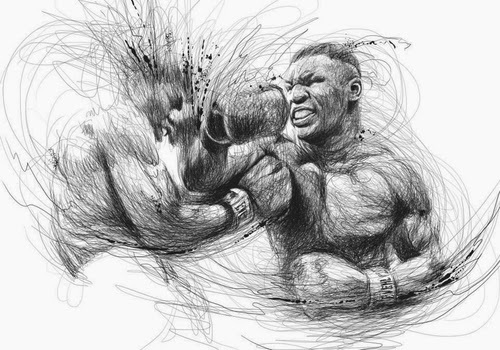 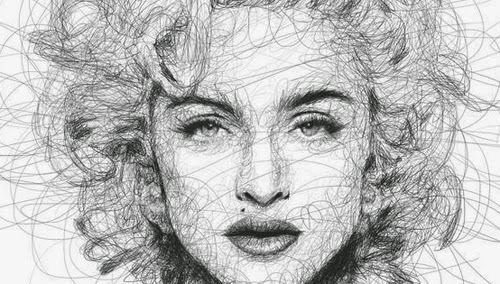 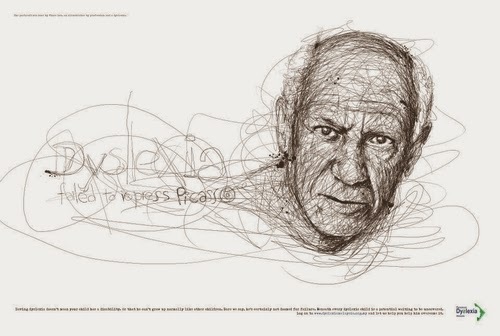 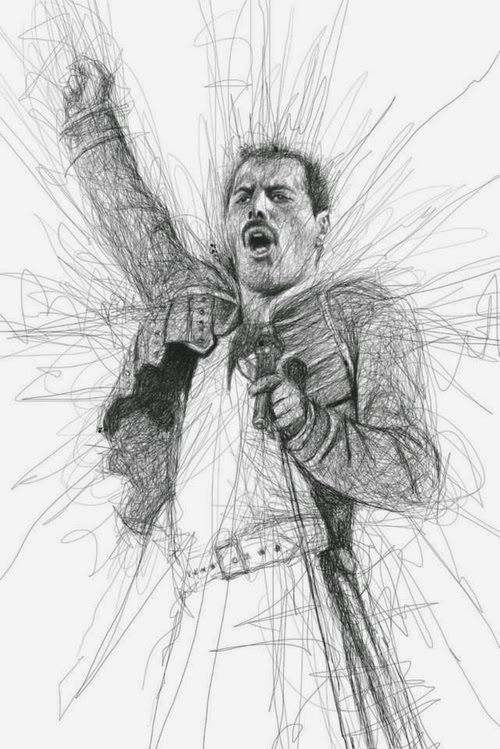 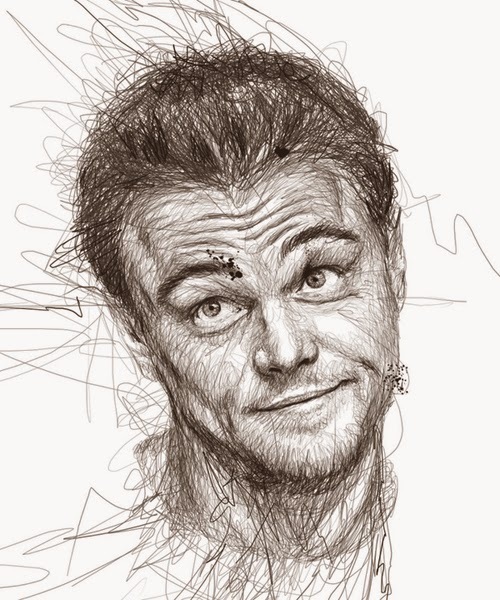 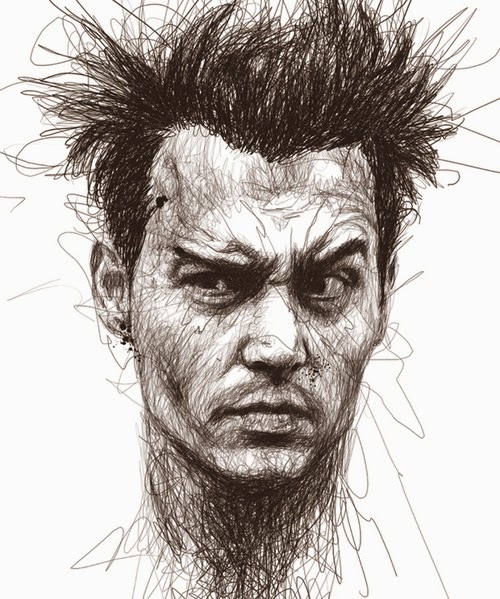 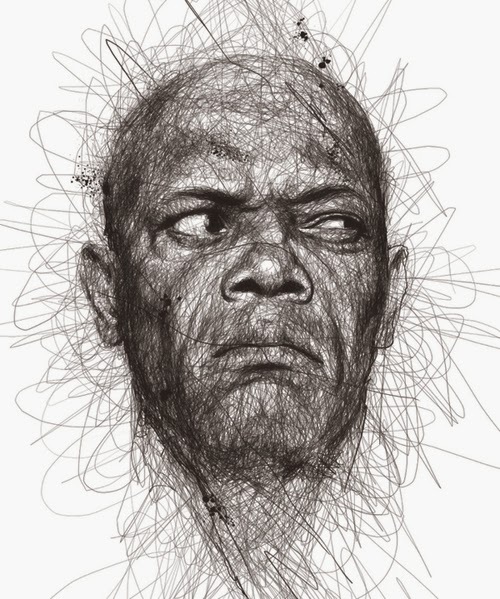 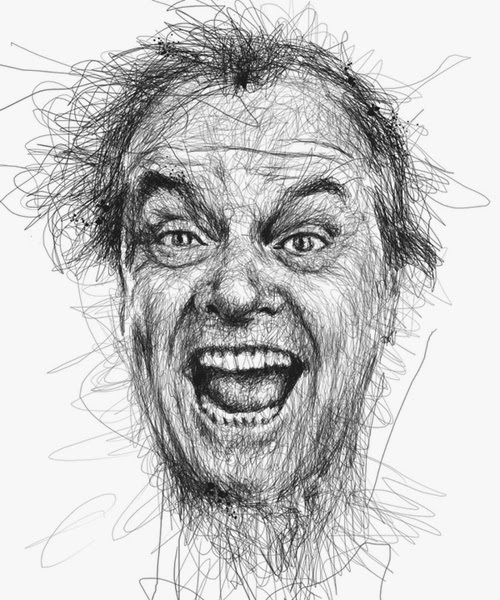 Malaysian Artist Vince Low creates these portraits using a scribble way of drawing. 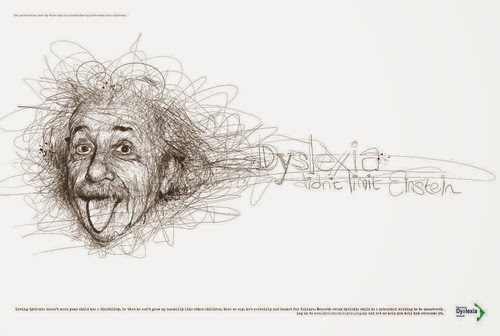 Four of the designs shown below, have been used for a dyslexia campaign as Low suffers from it s well. 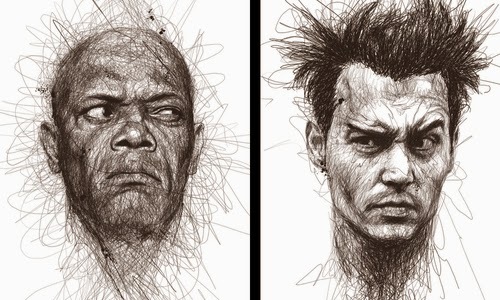 Samuel L Jackson - Johnny Depp. 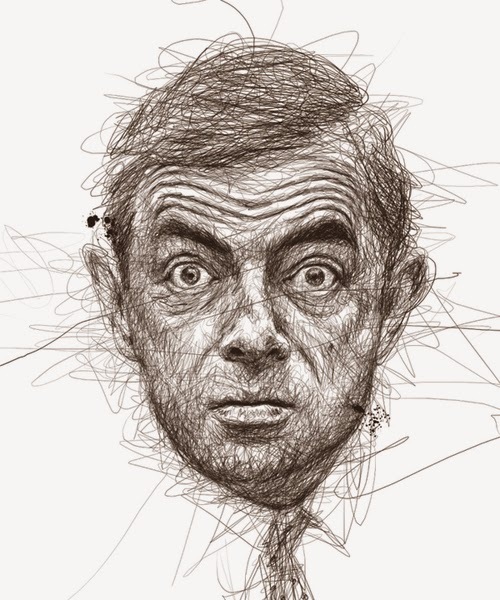 Mr Bean - Rowan Atkinson. 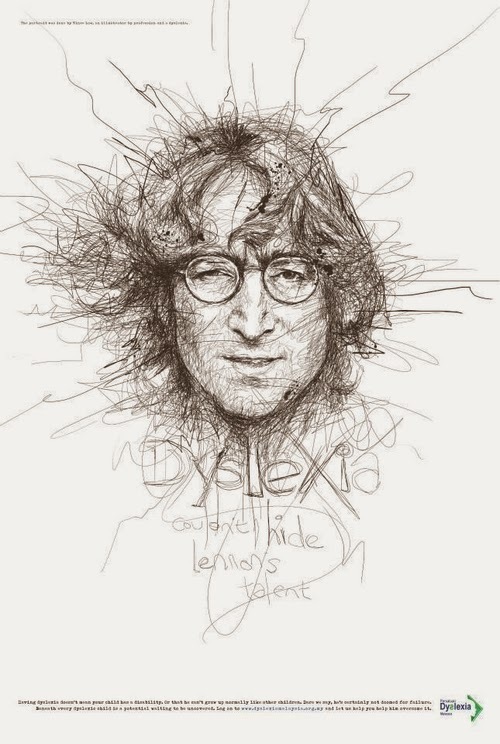 Dyslexia - Slash - Saul-Hudson - Guns N Roses.